Historical Harmony in Lido Shores. 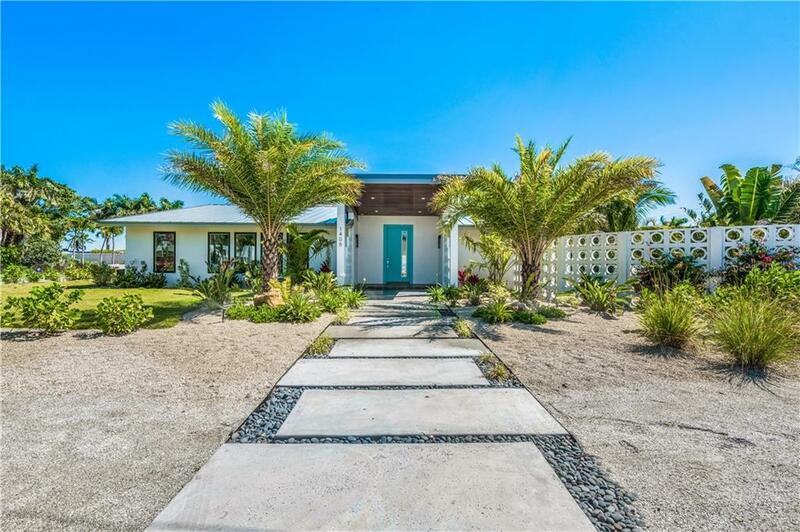 Originally designed by Philip Hiss, this residence was meticulously renovated in 2013 to preserve its mid-century architectural style, combined with premier quality custom modern interiors. 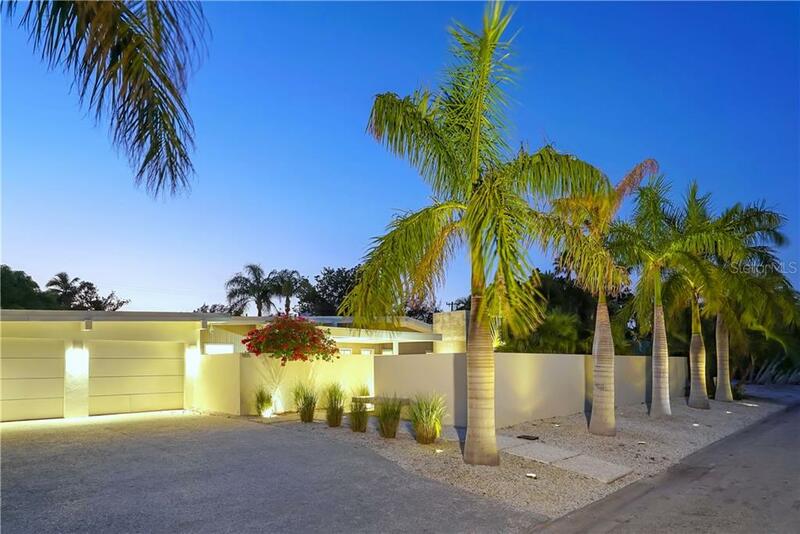 Guy Peterson designed front elevation with entry to a wall of sliding glass doors and a seamless flow to the private meditative terrace and sleek saltwater pool bordered by structured palms and an expanse of private space for elegant outdoor entertaining. 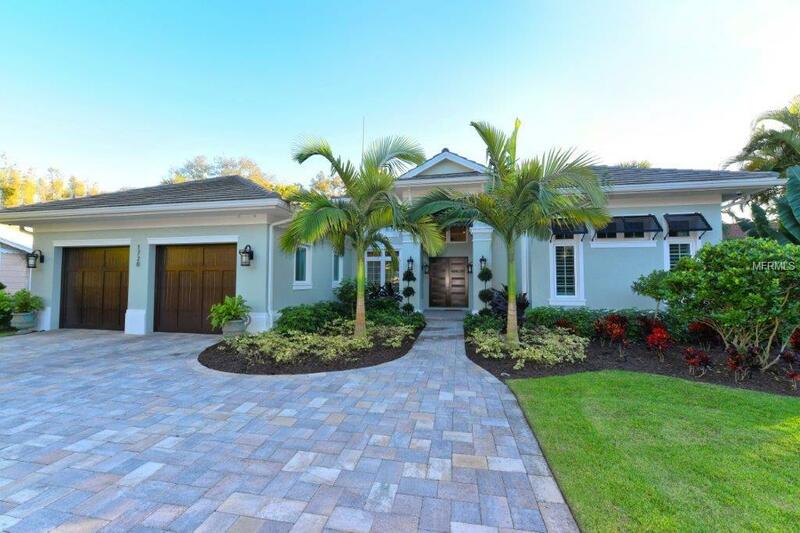 The grounds are zero maintenance with Gator Grass and indigenous landscaping for easy care. Interior sliding doors and raised door frames with SOSSS hinges enhance the open layout. Diamond-cut original terrazzo floors dazzle with polished sophistication that coordinates perfectly with the exterior patios. A spectacular windowed kitchen built by Mia Cucina highlights white glass backsplash/walls, electric drawers, their trademark custom cabinetry, white quartz countertops, under-lit white marble island, and appliances by Liebherr, Sub-Zero, Wolf & Miele. The master suite has walk-in closets with custom hardware and a grand bathroom with water closet/bidet, dual shower, and soaking tub. Complete with finished garage, laundry room, new hurricane-proof/UV-tinted doors and windows, 2015 roof, 2-zone A/C, gas heating, wired surround sound, backup generator, security system plus hard-wired smoke detectors. The final touch - exclusive private gated access to the Gulf of Mexico and peaceful northern-most tip of Lido Beach.